Health experts across the globe have time and again emphasised how our sedentary life is paving way to morbid weight gain and a barrage of health disorders. But the nature of your work is such, you can’t do much about it too, you’d think? You are wrong. There’s a lot that you can do on your front to ensure you live and eat healthy, regardless of wherever you are working. The pressure of office workload is often guilty of taking our focus away from our food. You somehow manage to squeeze time for grabbing quick lunch; on some really busy days though, you do not give a second thought to skip that too. This is perhaps the worst blunder you can make. Starving for long hours would inevitably lead to bingeing later. You would eat whatever that comes your way and not be so conscious about the portion control too. 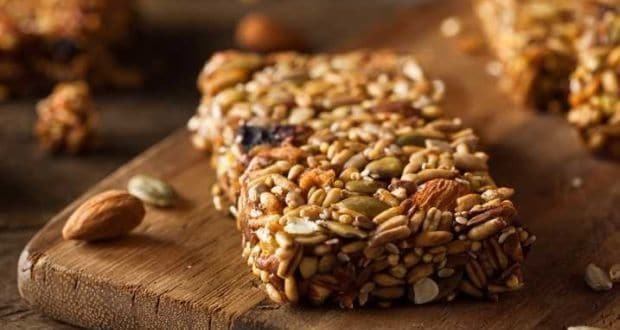 Carrying protein-filled healthy snacks to office is one way to help you not only stave off the unnecessary cravings, but also keep your calorie count in check. By keeping you satiated, it increases levels of appetite-reducing hormones like GLP-1, PYY and CCK, while reducing levels of the hunger hormone ghrelin, making you crave less, thereby aiding weight loss. 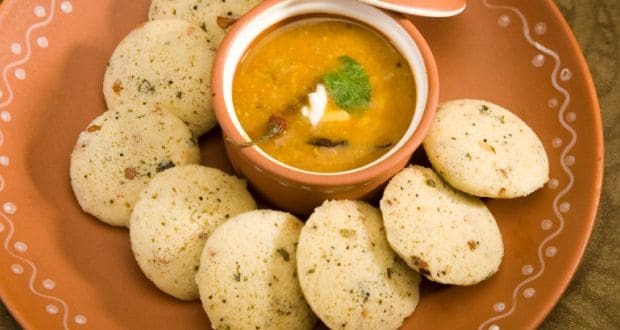 Prepare some delicious oat mixed idli batter and pack yourself some light and fluffy mini idlis for snack-time in office. Time to ditch the greasy pakodas for chai time. Thisidli recipe has suji replaced with healthy oats which is a delicious protein-rich snack option you can carry to work. Healthy, filling and nutritious. Whip yourself a protein-loaded almond granola bar packed with the goodness of oats, wheat flour, jaggery, honey, almonds and sesame seeds. Here is an easy recipe for the same. 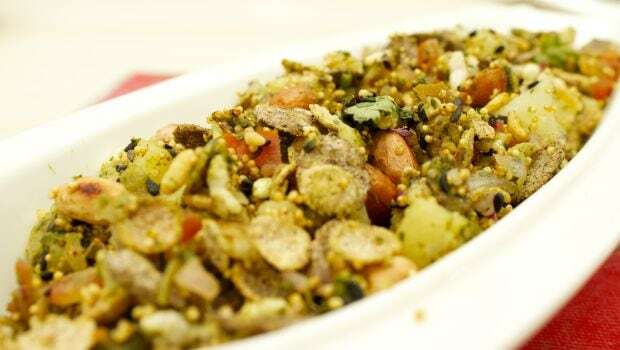 Quinoa is one superfood that has taken the world of fitness by storm. The pseudo-grain is dense in protein, monounsaturated fat, potassium, phosphorus, copper, zinc, vitamin E and B6, riboflavin, niacin, thiamine, iron and magnesium. 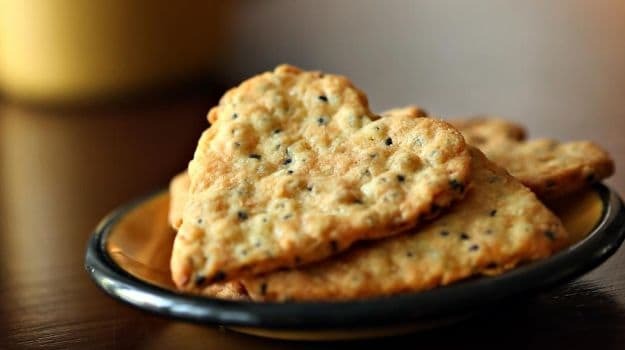 Quinoa crackers are very easy-to-prepare and can be made at home in under 5 minutes. All you need is a quinoa batter; spread it on to the silpat with the help of a spatula. Sprinkle the sesame seeds and bake for 10-12 minutes. 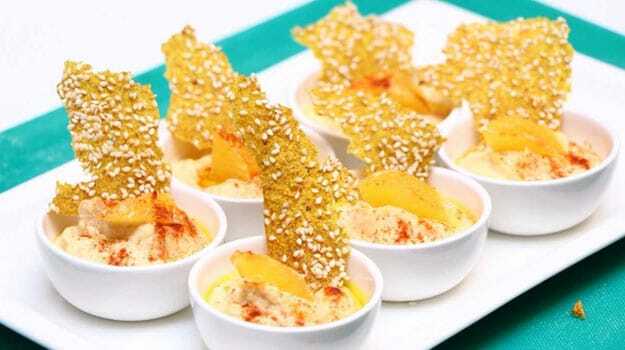 Here’s a step-by-step recipe of quinoa and sesame crackers with orange hummus. Protein-rich, gluten-free and delicious. Give it a try! Quinoa is one superfood that has taken the world of fitness by storm. 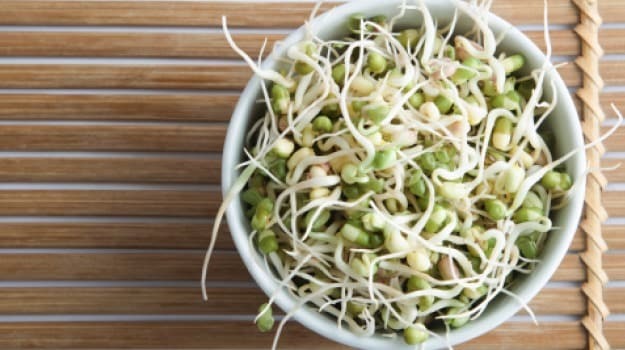 The healthy snack of sprouted beans, mixed with freshly chopped carrots, cucumber and shredded spring onion is as healthy as it gets. Grab yourself a mason jar and pack yourself this quick and delicious snack. Here’s the stellar recipe of the same. Five minutes and three ingredients is all it takes to prepare this delicious smoothie. 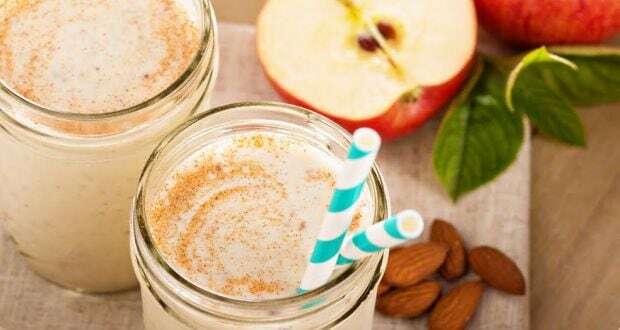 Just throw in some chopped apples, a cup of yogurt, a teaspoon of peanut butter, and a teaspoon of chia seeds in a blender and blend all the ingredients. Serve chilled. Goodbye unwanted cravings! So what are you waiting for? Load up on protein with these delicious recipes. Got more delicious and amazing protein-rich recipes to share? Do write to us in the comments below.